Moving house is equal parts exciting and stressful. Exciting because you may be moving into your first bought home, or a brand new rental. Stressful because you’ve basically got to pack up your whole entire life and move it to a whole new suburb. All while still meeting your commitments for work, study, parenting and the rest of your responsibilities. It can get a little overwhelming to be honest. But it doesn’t have to be a complete shambles. 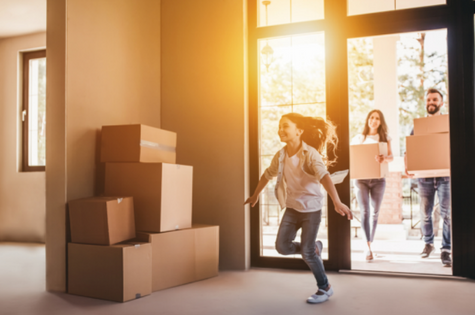 We’ve put together a neat little streamlined guide to moving house, so read on to find out more. Your stuff needs to be packed up, preferably into sturdy, durable boxes. There are plenty of places you can get big packing boxes in Sydney. You can also ask your friends, family and colleagues - chances are, someone has moved recently and is just dying to get rid of their spare boxes. Finally, join some local Facebook groups and ask around there or try Facebook marketplace or Gumtree. There’s no shortage of cardboard boxes if you know where to look. The next step is to arrange for the disconnection of all your utilities at your old property and the new connections at your new abode. Make a checklist. Gas, power, internet, home phone and water are the most common. Try to do this all a few weeks prior to moving. There’s nothing worse than moving into a new place without lighting or hot water because you’ve left the new connections too late! While you’re at it, check out some comparison websites to see if you’re getting the best deal. You can often save hundreds of dollars a year just by switching providers. Once a new offer is on the table, go back to your current provider and see if they can beat it. If you’re working or studying it can pay to take some time out for the move. This is mostly so you can proactively manage your stress levels and not get burnt out by doing too much. Three days to a week is a good amount of time to allow you to move house, unpack and get settled in before heading back to the daily grind. You’ll need to eat throughout the whole process, but finding time to cook and prepare healthy, nutritious meals can be quite difficult. Be prepared to live on takeout for a few days during the move. If you can, spend some time the weeks before doing some meal preparation. Make some healthy and yummy pasta sauces, curries and stews and casseroles - anything you can freeze and defrost for a quick meal while you’re on the go. You’ll thank yourself for it while you’re eating dinner surrounded by boxes, safe in the knowledge that you didn’t have to spend an hour cooking. It can be difficult, but try to find some time out as well to rest, recharge and rejuvenate yourself. A hot bath is a good way to do this, or a night in with Netflix and pizza. To conclude, source some moving boxes early in the piece so you can pack easily. Then arrange for the disconnection and connection of your utilities. Try to swing some time off work or uni so you can focus on moving and unpacking, and rely on take out or pre-prepared meals while you’re in the thick of it. And don’t forget to find time to unwind. There are so many good tips here that this may easily be ignored, but I figured it’d be worth mentioning anyway. https://go680movers.com . I love reading these articles because they’re short but inaeomftivr.